Well, I’ve been a bit of a tease the past few day. Not on purpose, okay maybe a little. You see, this weekend I posted the two pictures below on my social media accounts. The first one is of the Gingerbread Healthy Bites (December Flavor) and the second picture is of my Grain Free Coconut Snickerdoodle cookies. 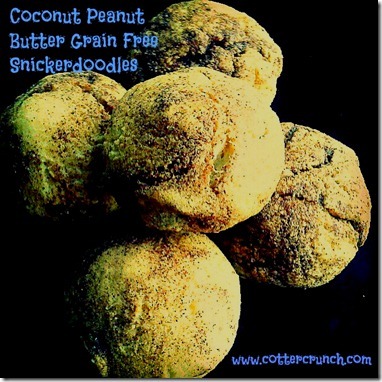 But I think I confused everyone and now people are wanting Snickerdoodle Healthy Bites. Ha, I love it! And yes, you can order a custom flavor snickerdoodle if you’d like. 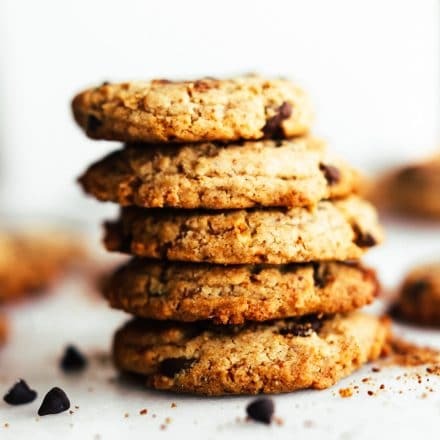 These cookies do look like Healthy Bites, but the texture chewiness are definitely COOKIE! I need to share this recipe in order to make up for my lack of DOUGH differentiation. 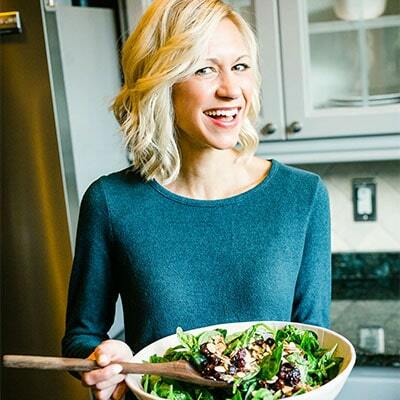 Well it just so happens that I was selected to participate in a FitFluential campaign this month and had the opportunity to try out my Healthy Holiday baking skills with using Smart Balance products, including the peanut butter, which was hard to save. In fact, I only managed to save 2 tbsp for the cookie recipe. The rest was devoured! See, only a little left. Can you tell I am bit dramatic here? Okay, onto the recipe. I knew I wanted more bang for your buck so I used both the peanut butter and the blended butter. Both products contain real ingredients as well as blend of omegas to boost the nutrient intake. The butter is made with a naturally sourced ingredient1 that helps block the cholesterol in the butter. It’s also an excellent source of Omega-3s EPA/DHA & ALA (32mg EPA/DHA, 20% of 160mg daily value, 500mg ALA, 30% of 1600mg daily value). The peanut butter contains the same omegas from a flaxseed oil blended in, naturally sweetened, and it’s has ZERO hydrogenated oils. Oh and they are all gluten free of course. YEA! 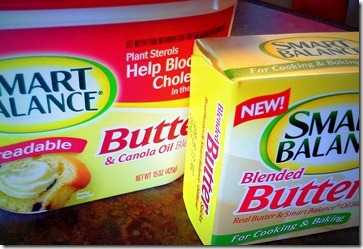 I found both products easy to mix and bake with. Very pleased with my out come of taste and nutrition stats as well. I think Santa might be able to loosen a belt buckle with these. Preheat oven to 325 °F. 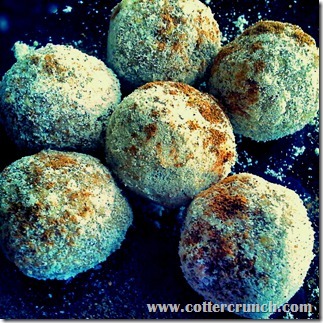 Mix your almond meal, coconut flour, whey, natural sweetener, and baking powder. Make sure they are sifted together well. Then add in your softened butter and egg. Mix well and add the extra almond milk if needed. Make sure you get smooth until dough. Roll the dough out onto some parchment paper. Now add your mixed filling on top. Spread evenly over the dough. Roll up dough using the parchment paper. Flattened the roll a little then cut into 1/2 inch pieces. Roll them again into balls and then place on greased baking sheet. Bake for 8 minutes or until the bottom is golden brown. Serve with milk, coffee, or tea! Do you tweak ingredients to get more bang for you buck? Most of the time I do, but I think I do it more for the challenge. Ha! 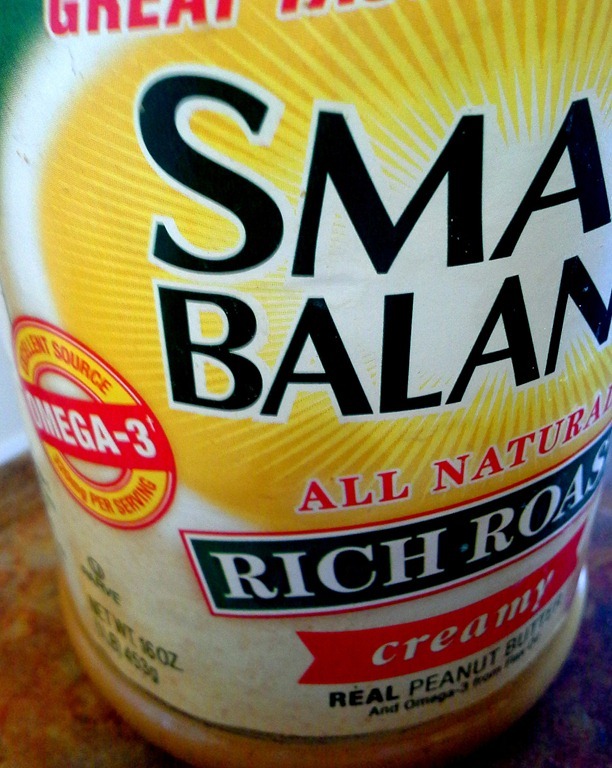 Check out Smart Balance’s website for more fun recipes and health tips. I think I might make the peanut butter dip next. Disclosure: FitFluential LLC compensated me for this campaign. All opinions are my own. 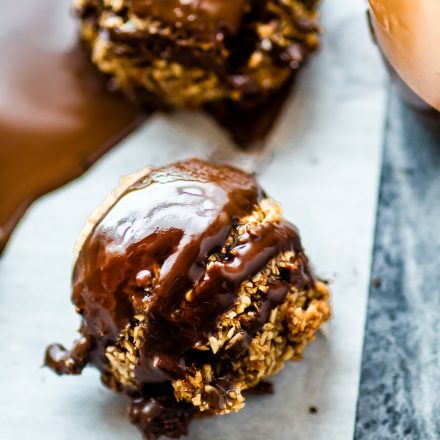 Now that you titled this post Snickers… I want a Snickers Healthy Bite!!! But these will do for now. 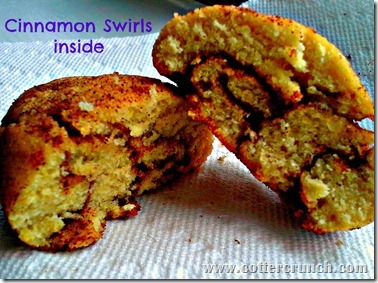 That cinnamon swirl is calling my name! oh now thats another good idea. But we need another twist on it. Hmmm, snickers and….GF pretzel? Kix? Mmmm those look yummy. I bet they smelled incredible while baking too. yes, can we bottle that smell and make a candle? How are you feeling? i bet these taste super yummy with coffee and tea. must make these stat!! these have your name all over it! think post swim coffee and breakfast! and your recipe tweaking is quite magical! ps my healthy bites arrived today, yay!!! These look sooooooooo good! I’m loving all the #HelpSanta treats. me too! we need a cookie exchange for these! 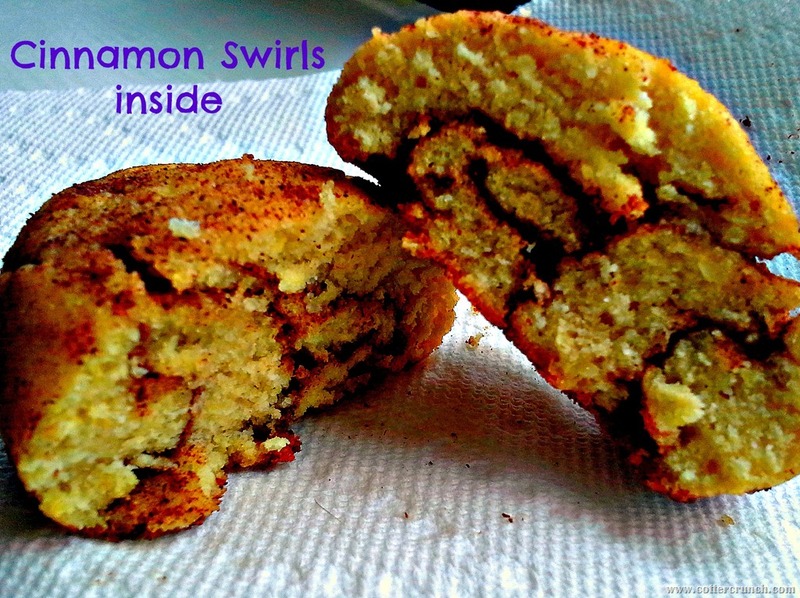 did someone say “snickerdoodle?” I had to pin because I love everything about cinnamon and sugar. Snickerdoodles and I aren’t close, but gingerbread and I are gooooood friends. Yum! what about PB snickerdoodles?? or PB gingerbread? YUM! I’m almost there too!! My dream! 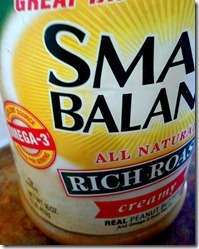 Mmm, I love Smart Balance PB… it’s the bomb.. but so is any peanut butter, in my eyes ;). So I checked out Hard Yards… I want to know more about it! Are their going to be any camps coming up?! Lemme just give NuNaturals a shout out! LOVE THEM! OMG I have been using NuNaturals for ~ 10 years! Seriously don’t know what I would have done (what I would do) if I didn’t have their products in my life 🙂 Coffee would definitely NOT taste the same, lol! totally agree! so glad to use their product and feel good about baking! how about you make the green chili stew and i’ll bring the dessert? now that’s a good kitchen! As usually, they look and sound amazing! ‘Tis the season for great eats! come visit and i’ll save you some. Austin marathon is in February! haha, no you were not.I was misleading. And i got several people wanting snickerdoodle healthy bites. But i’m all for it! 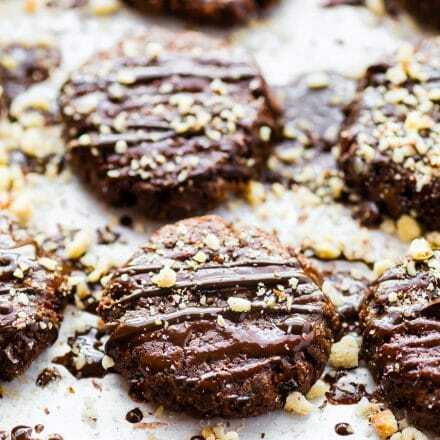 Picking up almond flour asap just to make these!! Holy yum. I’ve been loving balls as snacks (haha) so wrong sounding. 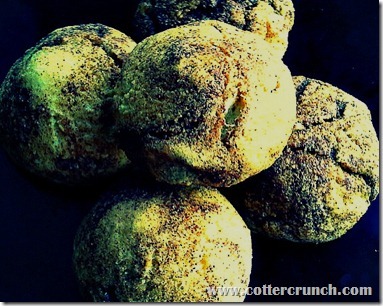 I’ve never tried a snickerdoodle, I don’t know why! I was a weird picky child, but they always sound so good. I think I should change that this season, yes? Gingerbread is my lover, always. I also love peppermint too though! yes, this has your name all over it! and i love that you said BALLS> tee hee. My have to make these. Why do companies put sugar in nut butters, I just grind my own at the store and it’s delicious no extra sugar nreeded! And yes I tweak every recipe, usually because I don’t have half of what the original cook had in their pantry. agreed. 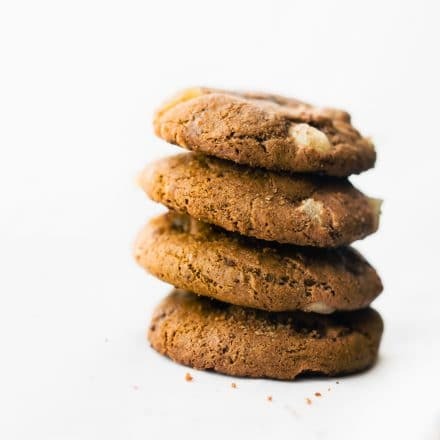 I just wish more cookies were chewy and gluten free. LOL! But we shouldn’t trick the mind into thinking food is good or bad. Just food and fuel. Amen? So wise as usual friend. deal! and can you bring me a starbucks too? I’m greedy! I was doing okay until you posted a picture of the inside, then I about died of starvation. YUM. wish i could cure your starvation with these ASAP! I would if i could! These look AMAZING! Really though, with that flavor combination, you really can’t go wrong! YUM! can we have a smart balance cookie exchange?? PLEASE!! Ohh.. my..gosh! I want this at my desk right now! Thanks for the recipe, they look delicious!! Yeah… I’m drooling too. I need to make these… but make sure that I don’t eat the whole batch! My mom always makes snickerdoodles for Christmas and I devour them! omg I love your face! I have a feeling I’d also love these. Yum!! HA. I thought they were healthy bites!!! Anything snickerdoodle and I’m all over it. HAHA. well now i am making snickerdoodle for people. A good idea! yes please! and teach me how to run fast! Holy moly — those look amazinggggg! yes, totally a lisa recipe. Bring the coffee over! They look so good Linds! Thank you so much for the recipe. I can’t wait to make these with my kids as a Christmas gift for Daddy. A little piece of you will under our tree and in our belly’s! These look sooooo good! I am definitely going to have to make them for my Christmas cookie spread!! Yummy! i know you will love these! such a Sarah twist on it too! Love your tweaks! I seriously cannot keep up with all of these new recipes of the month! Love how these are just all coming together. So freaking cool and so is that “beach hair”. I think we are both due for some “real” beach hair though. Where are we going? let’s go to an island. I want to get away from this country. LOL! These are definitely Kris cookies. Gluten free and grain free. Ya, you will love!!! Love you. I should be embarrassed but Im not. Hope you’re doing well Lindsay! you will love this Chuck. try it and let me know whatcha think. And so good to hear from YOU! 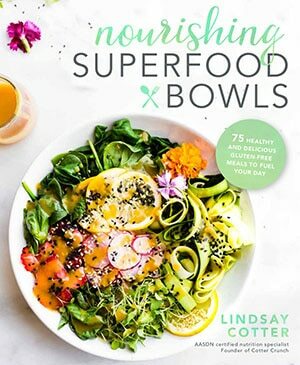 These would be great (and everything else you do) to include in the Great Gluten-Free link up! Details are on my blog today and I’d love it if you could help me spread the word!